the paintings having been done by our Cro-Magnon ancestors, before their brains began to shrink? What about us, 35,000 years later, of the now smaller brains? 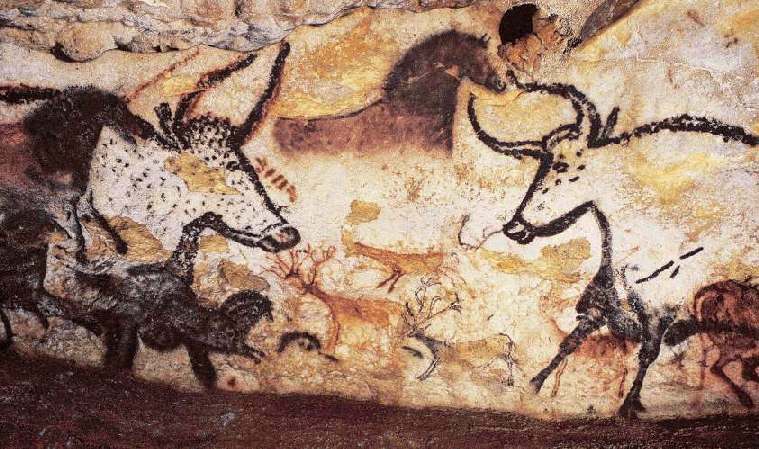 What have we done of comparable value to the Lascaux cave paintings? Well we have landed on the moon, determined the structure of the DNA molecule, and produced more than enough food to feed seven billion people, and of course much else of comparable significance. And we’ve evidently done all this with a shrinking braincase and shrinking brain inside. 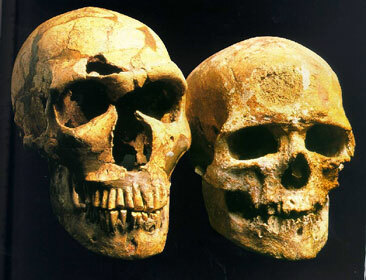 Neanderthal on the left-Cro-Magnon on the right, both with brains larger than ours. Not so bad what we have accomplished, although one might wonder what we might have achieved if during these same 35,000 years our brains had been growing, much as they had during the previous 200,000 years while on the perilous and probably hardship filled journey out of Africa into the Middle East, let alone the 7 million years that came before and during which time the brains of our ancestors nearly tripled in size? In fact over the past 7 million years, from the time of our leaving the line we had previously shared with the ancestors of the apes, the human brain has done one thing, and that is get bigger. That characteristic of our evolutionary history does make the present shrinking of our brains, that which the scientists have persuasively identified as a real change of direction from bigger to smaller brain sizes, an altogether fascinating subject. One wants to know more, starting with why it happened, and what it all means. Yeah sure, one might say. And one’s first reaction would be to dismiss that idea out of hand, “more efficient, better use of our brains?” Hawks is accused, by friendly accusers, of being a delusional optimist and, given how poorly we have made use of our brains, at least during my own lifetime, this characterization does seem accurate. Still there is no hard evidence to support Hawks’ theory. And it would depend, of course, on a set of improbable positive genetic mutations having occurred. It’s also incompatible with that idea that proportionally bigger brains, that is greater ratio of brain size to body size, imply greater intelligence. There are just too many examples from the animal kingdom where that is not the case. There are ants, tree shrews and birds, all with higher ratios of brain weight to body weight than our 1:40 ratio, one that we share with the mouse. McAuliffe’s provides additional explanations, one being that during the past 40,000 years or so humans have grown dumber. And the other being that they have grown tamer. While all the time showing little or no hardship from possessing smaller brains and as a result fewer brain cells. History supports the dumber explanation. For what better explanation could there be for such crazy, stupid events as the First World War (not to mention Vietnam and a thousand other such idiocies), Slavery, and all the myriad other forms of oppression that characterize man’s history during the past few thousands of years? In support of the third explanation, that we are tamer, much like domestic animals in this respect, would be how there are larger and larger numbers of us now living close together and often depending on one another for the essentials including food and shelter, while doing less and less by our own actions to insure our own survival. Compared to the hunter-gatherers who proceeded us we probably make less use of our billions of brain cells. For we move about most of all in groups (herds even), in political parties, in parades of demonstrators, in mobs in loud attendance at loud, brain numbing spectacles and sporting events. And more and more the things we do, are not so much for themselves, but because others do them. The result being that we think less and less for ourselves, perhaps losing those brain cells by our very inactivity, much as muscle cells are lost when we don’t exercise. 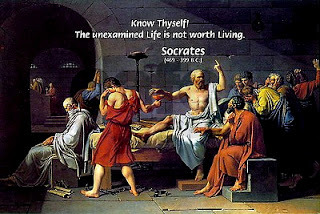 Perhaps the oracle at Delphi was on to something when she had inscribed in the forecourt of the Temple of Apollo the Greek aphorism “know thyself.” That is, perhaps she was telling us to make more use of our brains to know ourselves and to pay less attention to the others, the multitudes. This being probably the very opposite of what we now seem to be doing. ***Footnote: 3: In this Blog I’ve made liberal and I hope good use of Dave Cohen’s Typepad Blog, of 12/04/2011, entitled Decline of the Empire; The Incredible Shrinking Brain. 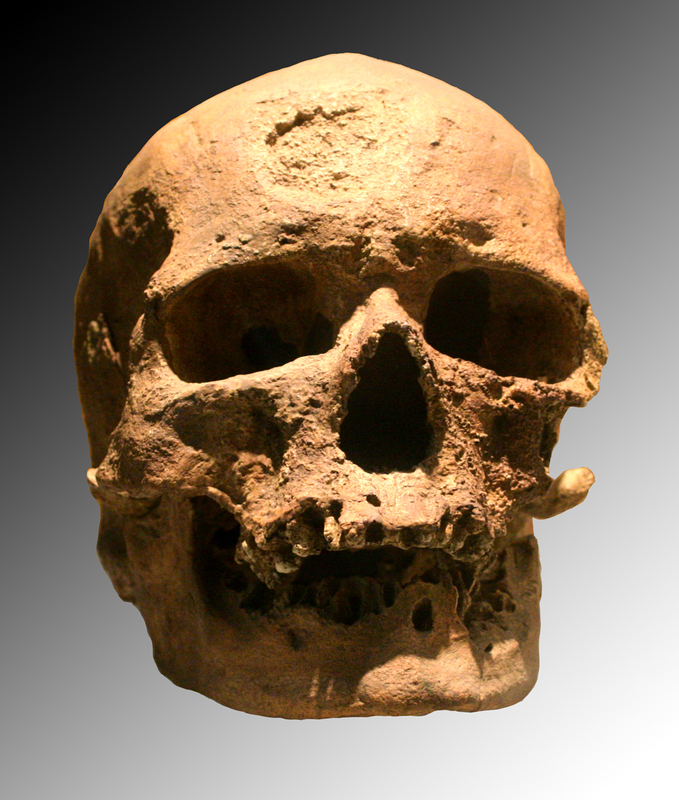 [smaller bodies, smaller brains] Some of the shrinkage is very likely related to the decline in humans’ average body size during the past 10,000 years. Brain size is scaled to body size because a larger body requires a larger nervous system to service it. 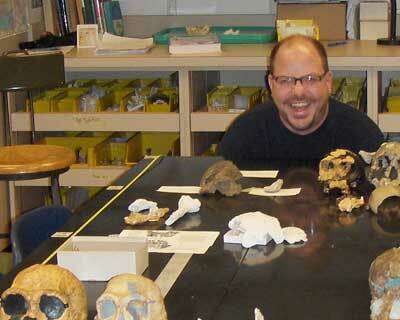 As bodies became smaller, so did brains. A smaller body also suggests a smaller pelvic size in females, so selection would have favored the delivery of smaller-headed babies. What explains our shrinking body size, though? [environmental influences] This decline is possibly related to warmer conditions on the earth in the 10,000 years after the last ice age ended. Colder conditions favor bulkier bodies because they conserve heat better. As we have acclimated to warmer temperatures, the way we live has also generally become less physically demanding, which overall serves to drive down body weights. [more efficient usage] Another likely reason for this decline is that brains are energetically expensive and will not be maintained at larger sizes unless it is necessary. The fact that we increasingly store and process information externally—in books, computers and online—means that many of us can probably get by with smaller brains. Some anthropologists have also proposed that larger brains may be less efficient at certain tasks, such as rapid computation, because of longer connection pathways. [tamer] The way we live may have affected brain size. For instance, domesticated animals have smaller brains than their wild counterparts probably because they do not require the extra brainpower that could help them evade predators or hunt for food. Similarly, humans have become more domesticated. But as long as we keep our brains fit for our particular lifestyles, there should be no reason to fear for the collective intelligence of our species.